The French Open saw many surprises, a handful of comebacks, number ones faltering and Indian shuttlers dominating and fading. The second tournament of the European circuit threw up a series of interesting results, unlike last week's Denmark Open in Odense, where the favourites won and unseeded wanderers failed to cause upsets. Last week, Kento Momota and Tai Tzu Ying gave credence to the assertion that ‘numbers don’t lie’ as the World No 1 shuttlers bagged titles at the Denmark Open. However, they couldn't assert their dominance at the French Open in Paris, losing in the semi-final and final respectively. 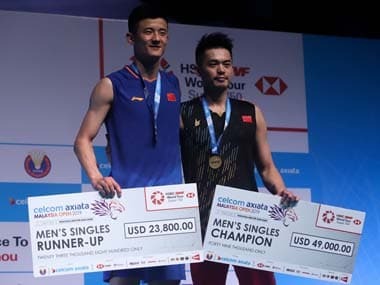 Momota's scorching run of finals appearances at the World Tour events came to an end at the hands of fit-again Chen Long in the semi-finals on Saturday. The Japanese shuttler appeared to be dragging his leg all through the second game and had evidently hurt his knee after landing awkwardly while executing a jump smash. Chen took advantage of this and found spaces to attack, leaving no room for the Japanese southpaw to make a comeback. The Chinese ace won 21-18, 21-8. Meanwhile, the high-flying Tai was finally brought down to earth by Akane Yamaguchi in the women's singles final on Sunday. This was the Chinese Taipei shuttler's second defeat in 10 finals this year. Yamaguchi edged past Tai in the first game before losing a closely-fought second. The defensive machine of Yamaguchi rattled Tai, who was drained out in the decider. Known for her retrieving skills, Yamaguchi tweaked her strategy after the mid-game break to attack from all corners and prevented Tai from moving freely. Lastly, Momota and Tai proved that they are only human, after all. Remember Chen Long, the Novak Djokovic of badminton? Yeah, he's back on the circuit. 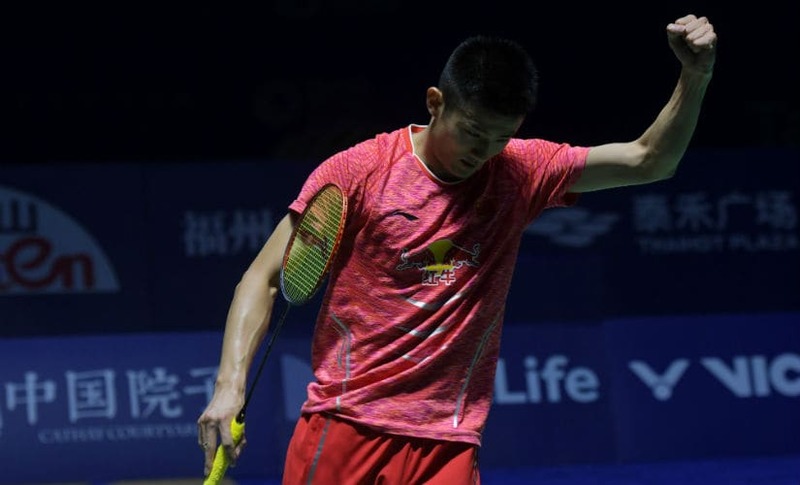 The two-time world champion won his first title since November 2017 after beating compatriot and All England champion Shi Yuqi 21-17, 21-19. Chen showed glimpses of his much-talked-about steely defence and used his height and reach to remain on the offensive throughout the all-Chinese affair. Injury problems have been the Chinese star’s biggest rival but he's finally broken his barren run 2018 at the World Tour tournaments. While Momota is topping the BWF charts, Axelsen and Kidambi Srikanth have been struggling to find balance. This means it's the perfect time for China's Chen to stake his claim at the top. Just avoid injuries, Chen. You don't need them. They came. They saw. The fizzled. With two men's doubles pairs and three singles players, Indians stole the show in Paris on Day 3 at the French Open. The men's doubles pairs brushed aside formidable Chinese combinations in the second round: While the young duo of Satwiksairaj Rankireddy and Chirag Shetty smothered higher-ranked pair He Jiting and Tan Qiang, 21-13, 21-19, seniors Manu Attri and Sumeeth Reddy caused the biggest upsets of their career by thrashing 2017 world champions Liu Cheng and Zhang Nan 21-14, 21-16. Defending champion Srikanth survived a scare against Korea’s Lee Dong Keun in three enthralling games. The Korean neutralised a 15-18 deficit but Srikanth managed to carve out a 12-21, 21-16, 21-18 win in 73 minutes. Saina Nehwal continued her recent good form at the World Tour events with a second consecutive win over Nozomi Okuhara. 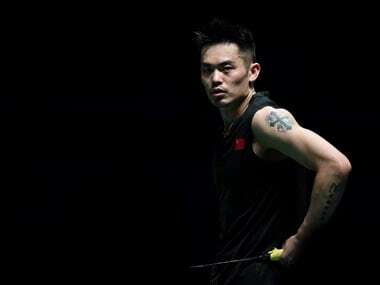 The Indian ace had defeated the reigning world champion at last week’s Denmark Open after three straight losses. Nehwal fought back after a quick first-game loss, outplaying the Japanese in 72 minutes, 10-21, 21-14, 21-17. Meanwhile, PV Sindhu. seeded third, blew a 15-7 lead in the first game to Sayaka Sato, but recovered her wits in time to hold off her rival, 21-17, 21-16. However, only Satwik and Chirag managed to reach the last four. Yeah, no one likes sad Minions, especially the Indonesians. The most dominant men's doubles pair of Kevin Sanjaya Sukamuljo and Marcus Gideon tasted their first defeat in ten finals at the hands of emerging Chinese duo Han Chengkai and Zhou Haodong. The last time they lost a final was in Odense at the Denmark Open in 2017. Gideon and Sukamuljo had three chances to wrap up the opening game after blowing away game points at 20-18 and 21-20. The Chinese pair saved all three before converting their first opportunity. The Indonesians staged an incredible fightback, winning the second game at 21-8, but they failed to read the game and committed too many errors to fall short in the final 23-21, 8-21, 21-17. Oh, this rally will make blow up your head (not literally). Look at the Chinese pair's marauding speed. Paris is the second home for Bulgarian sisters Stefani and Gabriela Stoeva. The sporting culture in Bulgaria is yet to warm up to badminton and lack of facilities back at home forced the Stoeva sisters to move away from home to Paris with their coach. The Bulgarians achieved their best-ever result at a World Tour event after taking down Olympic champions Misaki Matsutomo/Ayaka Takahashi in the quarter-finals and last year’s runners-up Lee So Hee/Shin Seung Chan in the semi-finals. The giant-killing run, however, was quelled by world champions Mayu Matsumoto and Wakana Nagahara, 14-21, 19-21. The unseeded Bulgarians gave a timely reminder of their worth by giving a tough fight to their opponents. However, Matsumoto and Nagahara held their nerve at the death to clinch a hard-fought women's doubles title. For the Stoeva sisters, it was a step forward in their quest to become the world's best pair and make the sport popular in the country.